It is also challenger schooling the defender. Team New Zealand, which led Team USA by 8-1 in San Francisco in 2013 only to suffer a collapse, is navigating the cerulean waters of Bermuda more expertly than its more experienced opponent. 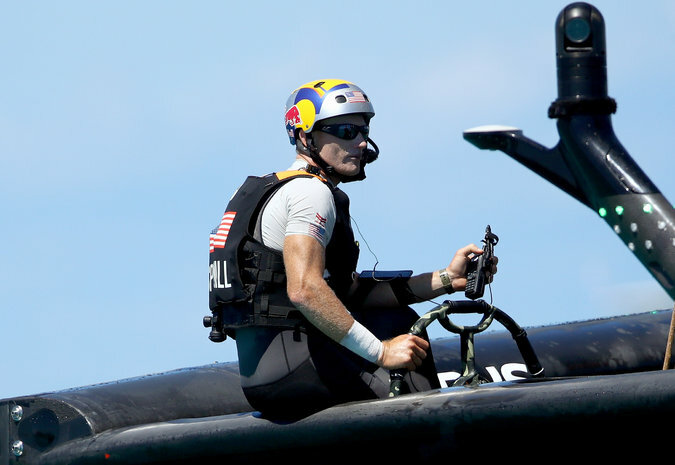 Jimmy Spithill, the skipper of Oracle Team USA, after losing a race to Emirates Team New Zealand. In Sunday’s second race, Team New Zealand never once dropped off its foils from start to finish, keeping the friction and fuss to a minimum as Spithill and his veteran crew kept splashing down in their wake, and even incurred their latest penalty for sailing outside the course.